Just found out this morning that MySQL 5.1 is now officially supported on cpanel. MySQL 5.1 offers some major improvements in some areas to MySQL 5.0. 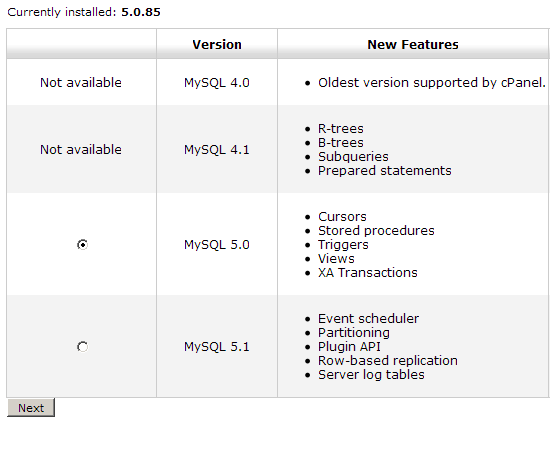 MySQL 5.1 was released over a year ago and it’s been a long wait for those cpanel users needing 5.1 features. Upgrading is not as easy as the 4.0 – 5.0 upgrade but looks to be a reasonable procedure.